Go camping in Thachi Valley and escape into the green, pastoral landscapes of Himachal Pradesh. You'll stay in tents pitched at a campsite surrounded by apple orchards and deodar trees. During the day, you can venture out, on your own, on short treks to explore the valley. Visit the Bithu Narayan Temple, trek to the Hadima peak or dip your feet in the Ashu Alli water stream. Trek across the never ending grasslands of Saponi Dhar, relax besides the waters of the Ropa pond or trek to the Chanjwala peak. As the sun sets, you'll gather around a bonfire with your fellow campers and enjoy the fleeting night to some music and dinner. Thachi Valley, an off-beat destination in the heart of Himachal Pradesh, is perched between the mountains that overlook the Great Himalayan National Park. A nature lover's paradise, the valley is criss-crossed with river streams and waterfalls that inspire lush grasslands and terraced farms. The valley is sprawling green with forests in the summer and layered white with snow in the winter. At the Ropa village, you'll be camping in tents pitched over an open campsite, surrounded by deodhar trees and apple orchards. Your meals will be freshly prepared from local ingredients at the campsite kitchen. • Go camping in Thachi Valley in the midst of nature. • Stay at a campsite surrounded by apple orchards. • Reconnect with nature in a calm and serene destination. • Venture out to explore the valley. Camping at Thachi Valley is a non-strenous activitiy. However, if you have any cardiac or respiratory conditions, or suffer from knee or spinal problems, please inform the tour operator and consult your doctor before booking this trip. Travellers are required to adhere to the instructions of the trek leader during the trek to Gaun Beed Waterfall. For cancellations made more than 7 days before check-in date of Thachi Valley camping trip: 90% refund. For cancellations made 7-2 days before check-in date of Thachi Valley camping trip: 80% refund. For cancellations made less than 2 days before check-in date of Thachi Valley camping trip: 60% refund. Check-in time at the campsite is 11:00 hrs, while check-out time at the campsite is 15:00 hrs. However, these check-in and check-out timings are reasonably flexible. Travellers will be required to bear any additional costs arising due to unforeseen circumstances such as bad weather, road blocks etc. The tour operator takes utmost care to ensure safety of the travellers and shall not be held responsible for any mishap or accident while camping in Thachi Valley. There is no pick-up point for this Thachi Valley camping trip. There is no drop-off for this Thachi Valley camping trip. Day 1 of camping in Thachi Valley: Check-in and enjoy! Arrive the campsite by 11:00 hrs. You can spend the rest of the day at leisure. You can venture out to explore the Thachi Valley and go on short treks to a whole host of view points, waterfalls, temples, meadows and peaks. You can trek to the Bithu Narayan Temple, the Hadima Peak, the Ashu Alli water stream, the Ropa Pond, the Gaun Beed Waterfall and plateau and several other local destinations. Return to the campsite by evening and call it a night around a crackling bonfire. Overnight at Ropa campsite in tents. Misty mountain views in the morning. Wake up to misty mountain views of Thachi Valley and spend some time exploring the valley and the Ropa village. You can trek to visit any of the destinations you missed yesteraday and check-out by 15:00 hrs. Depending on availability, you can even extend your stay at the campsite. Your trip ends here. Explore vantage points with views. Overnight at Ropa campsite in tents. Check-in time at the campsite is 11:00 hrs. You'll be accommodated in tents on quad/multi-sharing basis. Sleeping bags and mattresses will be provided for a restful night's sleep. Today's meal pacakge includes lunch and dinner at the campsite. All meals will be vegetarian. Check-in and check-out times are reasonably flexible. Stay in tents pitched in an open campsite. Today's meal package includes breakfast and lunch. All meals will be vegetarian. Depending on availability, you can even extend your stay at the campsite for an additional cost. Check-out time at the campsite is 11:00 hrs. Check-in and check-out times are reasonably flexible. Gather around a crackling bonfire. 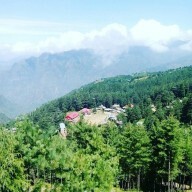 The campsite is accessible via road with a 2-hr drive from the Kullu-Manali Airport at Bhunter. You can board a flight to the airport, and travel to the campsite via hired car/taxi. Alternatively, you can board a bus to the Aut bus station, and travel to the campsite via rented car/taxi.